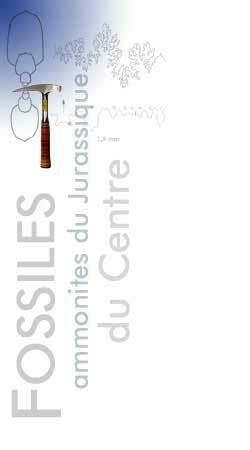 The expansion of Oppelidae begins with the middle Jurassic to finish with the Cretaceous. The representatives of this family have a rather compressed shell (oxycone) and an ornamentation mainly made up of falcoid primary ribbing. 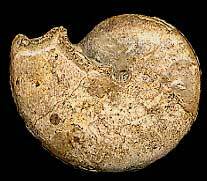 The ammonites which belong to this group have a very vast geographical distribution which only excludes the boreal areas. In the Bathonian of the southern Paris basin, Oppeliidae are commun, except the genus Trimaginia. 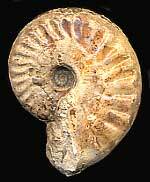 This involute ammonite has an oxycone section and a keel. The ornementation first consists in falcate ribbing ; then the shell becomes smooth. The aperture is always simple. 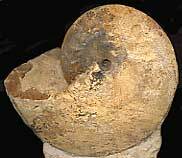 In this genus you can find small and moderately involute species with falcate ribs. Some of them had a median groove and an aperture with small lappets. Oecotraustes and Oxycerites may be a dimorphic pair. 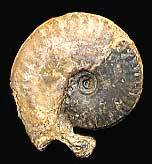 Ammonite with discoidal shell, involute section, strong falcate ribbing and gentle tubercles on the venter. 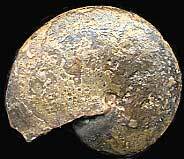 This is a compressed and strongly involute ammonite with tricarinated venter. Its ornementation is the same as Oxycerites. Trimaginia is a tethysian genus.